Cutting-edge defense projects often encounter unexpected challenges. When the contractor is competent and Congress is patient, those challenges are usually overcome. In the process, though, public perceptions of where a program stands often become wildly out of sync with the underlying reality. For instance, media coverage of the Marine Corps MV-22 Osprey continued to cite early mishaps in the program long after it had become the safest rotorcraft in the joint fleet. Reporting about the tri-service F-35 fighter described that program as "troubled" even after it had met all of its performance requirements, the price had fallen and allies were clamoring to buy it. So perhaps it should come as no surprise that much of official Washington doesn't realize the very demanding effort to develop a ground control system for the next generation of Global Positioning System satellites -- and all legacy GPS spacecraft still in operation -- has become a success. OCX, as it is called, is the first ground segment for a space constellation that fully implements the Pentagon's "defense in depth" cybersecurity standard. That's why it is called a pathfinder program. Eventually, every space system the Pentagon uses will need to comply with the standard, because cyber attacks have become a big threat to the reliability of military technology programs. But when you are the first program to implement unprecedented requirements, problems can arise. It's not that prime contractor Raytheon (a contributor to my think tank) was new to the design and development of ground control segments for satellites. It has built over a hundred satellite ground systems for military, civil and commercial customers -- each of which is vital to the functioning of the constellations they control. But nobody has ever had to satisfy the kind of cybersecurity standards OCX now can. The Air Force, which manages military space programs, signaled that success last month when it disclosed that rigorous tests of the OCX system had proven it provides comprehensive protection against cyber aggression. We'll probably never know precisely what that means because the testing protocols and procedures are secret, but satisfying the Air Force in such exercises is not easy. The success of OCX in its first operational iteration is a true breakthrough, and not just because it delivers greater resilience to a national-security space system than ever before. GPS is one of those "dual use" technologies first pioneered by the military that has become critical to a vast array of non-military functions. Google Maps and Uber wouldn't work without it. Your smart phone depends on its hyper-precise timing to function effectively. But that timing, and the geo-locational data that GPS delivers to everybody from truckers to pilots to first responders, doesn't automatically arrive from the sky without human intervention. Over two dozen satellites in six orbital planes must be monitored and controlled continuously to assure proper spacing, signal strength, and the like. For instance, the atomic clock on each satellite is recalibrated daily. That's what OCX does from a master control center in Colorado, a backup location in California, and various other facilities scattered around the world. It is a vital component in the technological infrastructure of our commerce and culture. But it is also essential to the military in coordinating maneuvers, precisely targeting enemies and rescuing endangered personnel. Which is why, unfortunately, countries like Russia and China would very much like to disable the GPS system if war ever breaks out. They are building their own navigation satellites; if theirs keep working while America's don't in wartime, they quite possibly could win the war. They might try to take out the satellites but that would be quite challenging. Disrupting ground controls and jamming signals would, at least in principle, be easier. OCX and the next-generation GPS III satellite constellation were designed with such concerns in mind. Collectively, they will deliver greater signal strength, greater accuracy, greater availability and greater flexibility than previous versions of the system (which first became operational in 1995). But the improvement military planners most value is greater resilience -- the ability to survive and continue functioning in wartime. Raytheon, a leading supplier of cybersecurity solutions, struggled after it won the OCX contract in 2010 to interpret how Pentagon standards should be implemented. For the last three years, though, it has been making steady progress -- so much so that it will be ready to support launch of the first GPS III satellite this year. Although cybersecurity has always been the "long pole in the tent" for OCX, the ground segment will be able to do a lot of things the legacy control system could not. 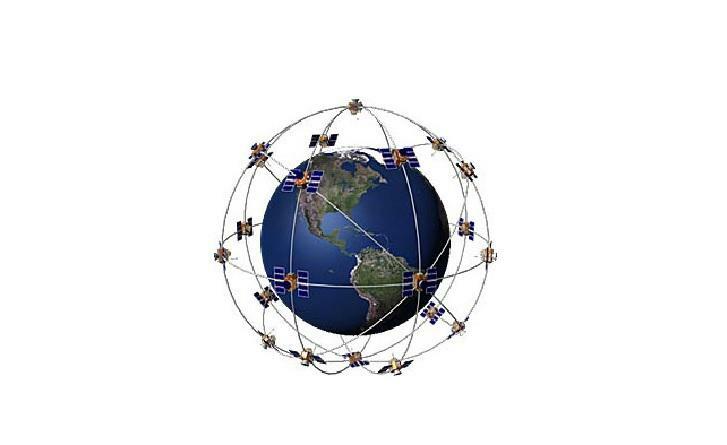 For instance, it will be able to support new signals generated by the GPS III satellites that enhance user options; it will be able to utilize advanced anti-jam features built into the satellites to overcome interference; and it will be able to control twice as many satellites as the legacy architecture. In addition, OCX will be able to deliver the maximum possible level of protection and functionality to all of the GPS satellites that have already been launched. That's important because the next generation will take many years to orbit, and meanwhile users must have line-of-sight access to four or more satellites if they are to optimize their use of the system. In order to get OCX to its current state, Raytheon had to develop a new way of generating the necessary software. Speeding the production of software for military systems has become a major preoccupation of policymakers, and Raytheon's innovations in that regard appear to have been well received. This is one of many areas where the prolonged development of OCX has been a learning experience for customer and contractor alike. Development is far from complete. The 1,000 Raytheon employees working on OCX will continue building out the baseline version well into the next decade, when the legacy ground control system is fully retired. But it now looks clear that Raytheon has succeeded in creating the most resilient cybersecurity architecture ever developed for a space constellation, and in the process helped keep America's military far ahead of its competitors. Lockheed Martin, prime contractor for the GPS III satellites, contributes to my think tank and is a consulting client.